Wonderful earthy shades that match any color scheme. The "Browns" tolerate a lot of direct sunlight. 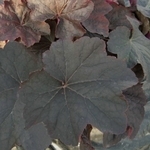 Pictured here is 'Mocha', the easiest brown to grow.